The harmonica (or the blues harp, as the connoisseur are calling it) is a wonderful instrument that’s slowly beginning to be forgotten. It’s got no place in today’s pop music, hard rock’s barely alive, the blues is all but dead and buried and alternative music never did like it. Today it’s more about the Internet music sensations, the videos and the controversy. It seems that people need reasons to listen to music, and that wasn’t the case a while back. That’s why it’s great that you’re here, wanting to learn more about the harmonica. Maybe you even want to give it a try! If you’re fascinated by the blues harp, we suggest you take a few minutes and go through our small presentation, complete with the best harmonica songs. The harmonica was official invented by German instrument maker Christian Friedrich Ludwig Buschman in 1821. While there were other free reed instruments showing up in parts of the United States, the United Kingdom and Europe around the same time, he is credited with the invention of the modern harmonica. Chromatic – this harmonica has a bar that is activated by a button the player pushes and the button redirects air from the hole in the mouthpiece to the selected plate. It can be used for any style of music, but is not recommended for beginners. Diatonic – this is the classic blues harp and rock harmonica, the one you need to get if you want to learn how to play harmonica. It has 10 holes and when air is blown into each of the holes, it plays one single note. Tremolo – this one has two reeds per note, one is faintly sharp and the other faintly flat. The sound this harmonica produces is somewhat warbling. It is not recommended for beginners, because it does not produce one single clear sound from each hole and can confuse beginners. The key of C is perfect for rookies, because it will allow you to be in tune with almost all the songs there are out there for beginners. The C major scale is the scale everyone knows and you’ll have an easier job learning the notes. I’ve Got My Harp, Now What? Well, first of all, you need to learn how to hold it, how to blow air through the holes and you’ll need to learn a few basic children’s songs (such as Oh, Susanna and London Bridge). Here are three great videos that will teach you the basics before you need to move on to the actual playing of the instrument. If you’re just starting out learning how to play harmonica then you know that there are some moments when you can get discouraged and will want to quit. We’re here to prevent that from happening by introducing you to 10 of the best harmonica songs out there. 10 songs that will rekindle your love for learning, 10 songs that will make you run to your harmonica and give it another try. Read on, listen and play! Jason Ricci was born in 1974 and started playing in punk bands at 14, but soon after that he discovered Blues music and he was hooked. He moved to Memphis, TN where he started playing with the son of great harp player, Junior Kimbrough, David Malone Kimbrough. 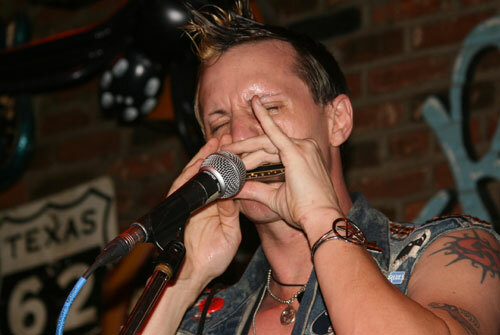 Ricci has made a name for himself as one of the best harmonica players of his generation. 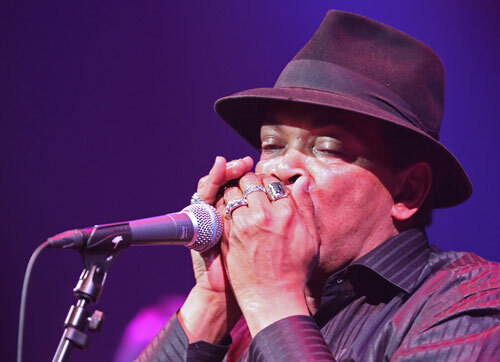 With his own band, called New Blood, he received Best Harmonica Player at the Blues Music Awards in 2010. 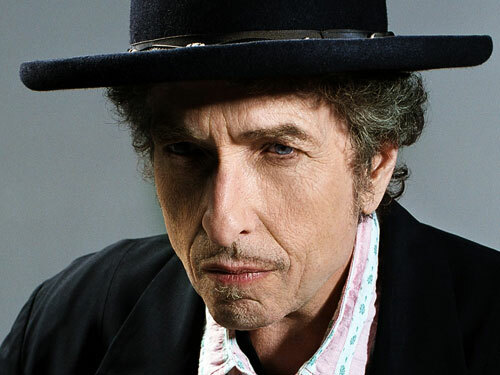 Bob Dylan is one of the most influential figures in music – he’s been a trend setter back in the 60’s and has created songs that will forever inspire people. Blowin’ in the Wind and Like a Rolling Stone are two of his most successful songs and the latter is absolutely perfect for harmonica. And so many people have covered the song, that you’ve got plenty to choose from – Sixto Rodrigues, Jimi Hendrix, David Bowie, Cher, Green Day. If you prefer the Rolling Stones version, that’s great, it’s a bit edgier and more modern. 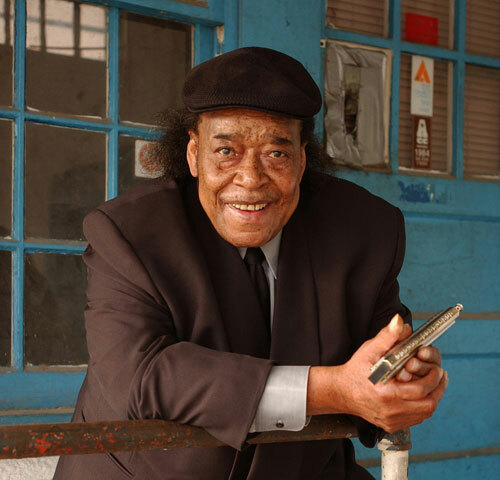 James Cotton was born in 1935 and is one of the most beloved American blues harmonica players in the world. He started out in the 50’s when he played harmonica for Howlin’ Wolf and in ’65 he his own band, the Jimmy Cotton Blues Quartet. He often cites Sonny Boy Williamson II (our number 2) as his biggest inspiration and a story that was told by Cotton himself about his early years is something that you would only see in the movies: he left home in search for his master and when he met with Williamson II, he told him he was an orphan which prompted the man to take him in and raise him. He later admitted that he fabricated the entire thing. 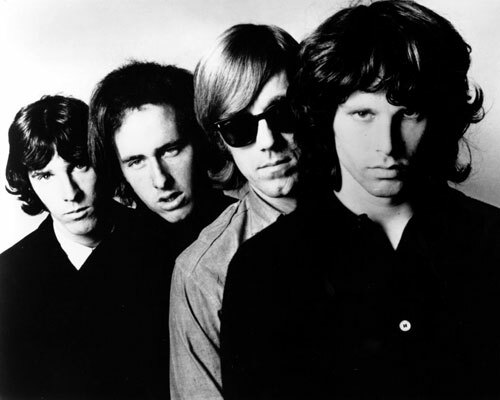 The Doors really don’t need an introduction, as they were of the ’60’s most prolific and controversial band – they didn’t fit into the ‘60’s, they were the ‘60’s! If you’re looking to find a Doors song that would play nicely on harmonica, then we suggest you give Roadhouse Blues a try. The song is taken off Morrison Hotel which was launched in March 1970 – the album was supposed to be a comeback after their Soft Parade commercial failure. Morrison Hotel is believed by many to be their best work and Roadhouse Blues is one of the Doors’ best harmonica songs. Sugar Blue is the man who played harmonica on The Rolling Stones’ Miss You. That’s how most people know of him, but there’s so much more to him. The Chicago Tribune said that “the sound of Sugar Blue […] is the sound of a musician who transcends the supposed limitations of his instrument”. He’s still alive and kicking – his latest album was released in 2010 and it was called Threshold. If you’re learning how to play harmonica, this could motivate you to keep on practicing. Chester Arthur Burnett (aka Howlin’ Wolf) was a big individual and a voice to match his imposing physique. It’s been said about him that “no one, except him, could rock the house down and at the same time scare its patrons”. He is, along with Sonny Boy Williamson and Little Walter, the greatest blues artist in history. Some of his hits include our number five, Smokestack Lightnin’, Back Door Man and Killing Floor. 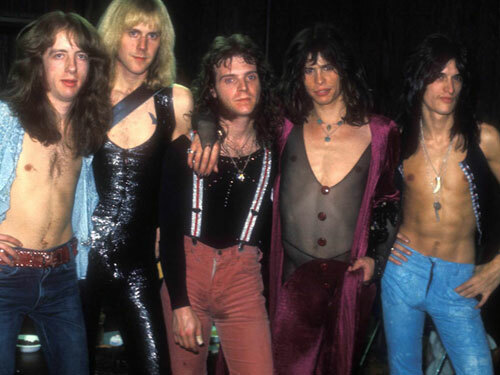 Aerosmith are one of the few American hard rock bands that are still going strong… as strong as a band of rockers over 60 can go. They’ve started out in Boston at the beginning of the ‘70’s and they’ve made a name for themselves as America’s best rock band. Their most popular album, Get a Grip (1993) includes hits such as Crazy, Cryin’ and Amazing – three songs who have defined the ‘90’s. In 1997 they’ve made a comeback with their Nine Lives album and their first single Pink which offers one of the most memorable and popular harmonica intro. Steven Tyler is truly a great harmonica player. The Yardbirds were an English rock group that rose to fame in the early ‘60’s – it gave us three guitarists: Eric Clapton, Jimmy Page and Jeff Beck. 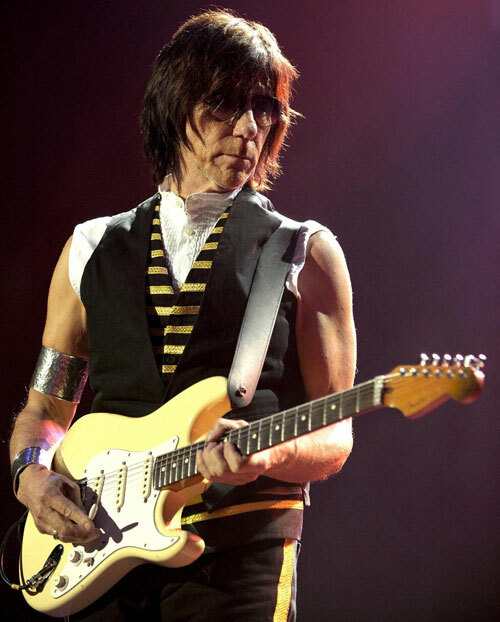 Jeff Beck is the least known of the three, but some say he is the best. He’s been featured on albums by Morrissey, Tina Turner, Mick Jagger, Kate Bush, Jon Bon Jovi and ZZ Top. He’s also on the 5th position of Rolling Stone’s “100 Greatest Guitarists of All Time” and this particular song is (in my humble opinion) the number one harmonica song, but since it’s just me who thinks that, it’s number three on our list. 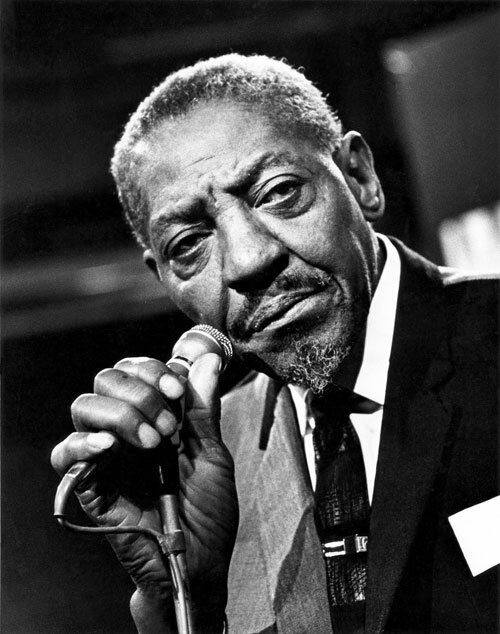 Sonny Boy Williamson II is a blues legend – and, as every legend, he was influential, charismatic, talented and creative. He is the blues and his style and harmonica skills are unique. There is a lot of misinformation when it comes to him and his life, as even his birthdate is still being up for debate. One thing is for sure, if you need inspiration or motivation for playing harmonica, Keep it to Yourself is the perfect song for that and one of the best harmonica songs ever. 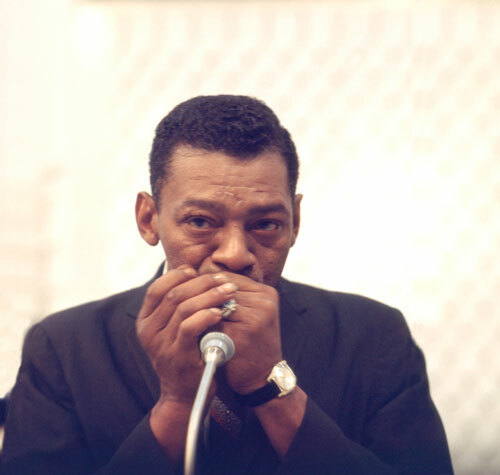 Little Walter did with a harmonica what Jimi Hendrix did with a guitar. His innovations are unmatchable and Back Track is the best harmonica song there is. Do you want to know how to play harmonica? Then listen to this song over and over and you will get slivers of the master’s soul that will keep you motivated and on track. Bow down and learn from Little Walter! What did you think of our best harmonica songs? Is there any song, band or player that you would like to add? Do you want to learn how to play harmonica? Tell us more about it in the comment section below.